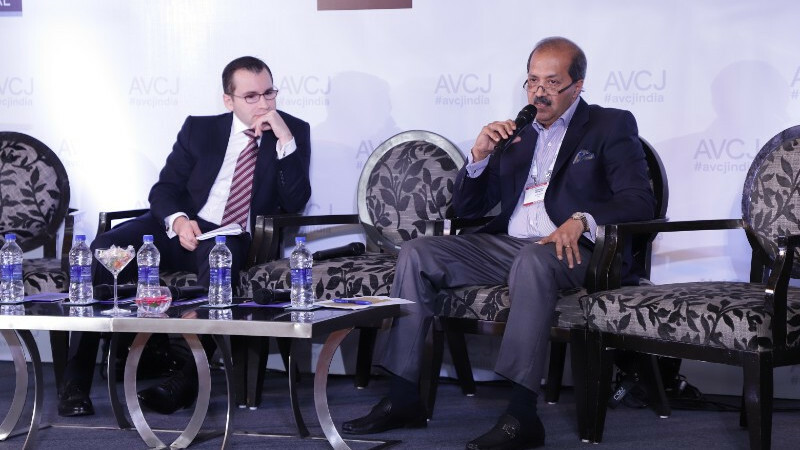 The 19th Annual AVCJ India Forum successfully took place in Mumbai on 4-5 December. 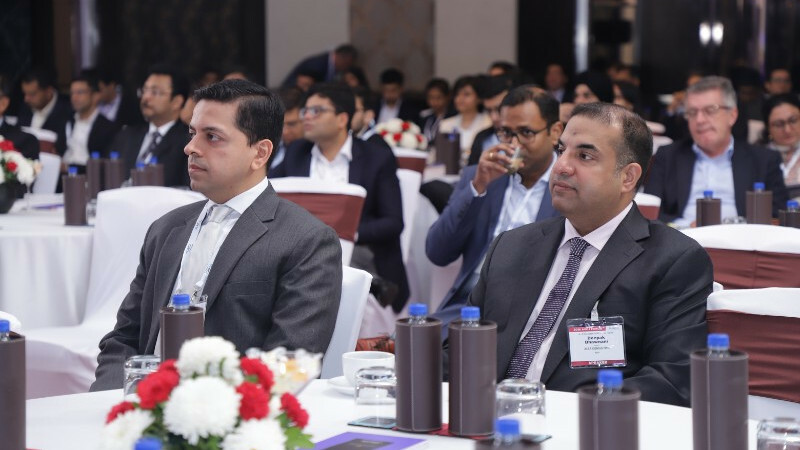 The forum opened with a keynote address from Sanjay Nayar, CEO and Member, KKR India followed by insightful discussions focusing on the latest trends for private equity and control deals in India. 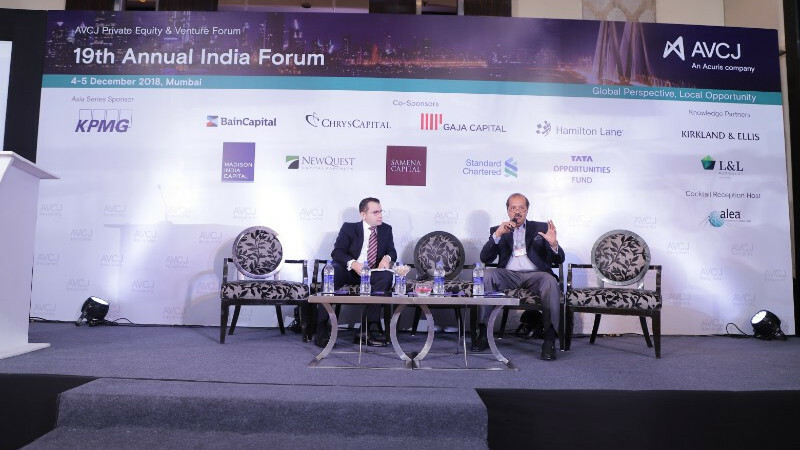 The forum continued with a fireside chat with Guthrie Stewart, Senior Vice President and Global Head of Private Investments for PSP Investments and Raj Rao, Partner with Global Infrastructure Partners. 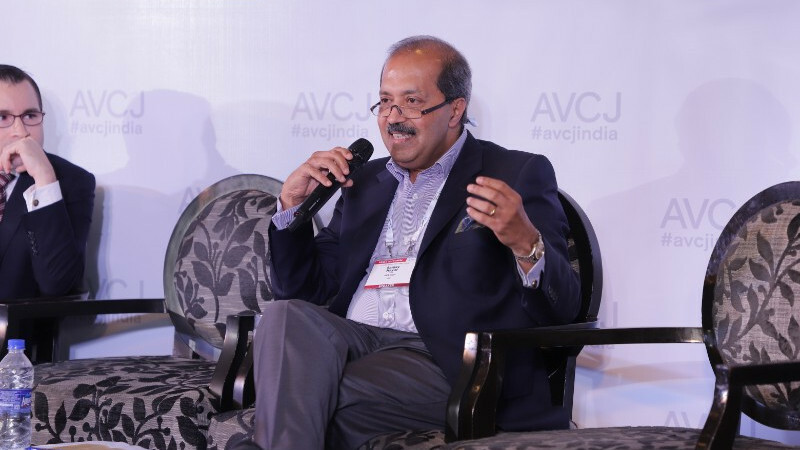 The networking lunch featured Mohandas Pai, a well-known industry figure followed by panels on infrastructure, credit, fundraising and technology. 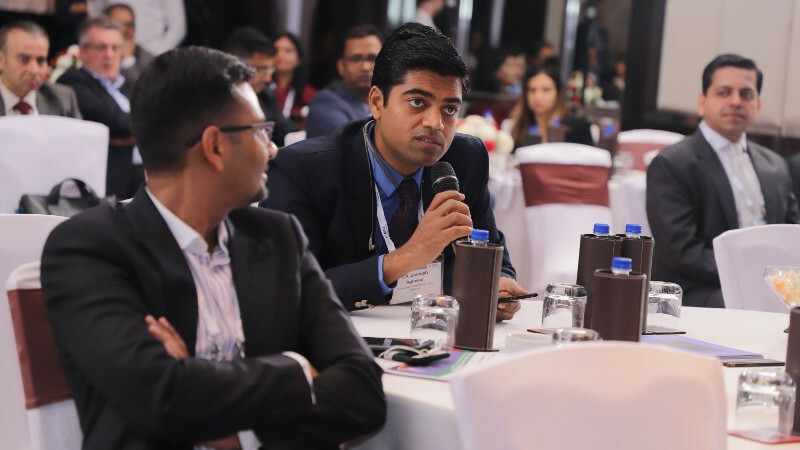 Day two of the forum covered cross-border activity and M&A, venture capital and changing consumer patterns, a keynote interview with Alibaba Group and the international LP view on India. 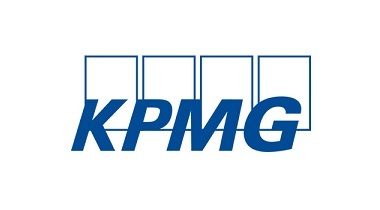 KPMG in India, a professional services firm, is the Indian member firm affiliated with KPMG International and was established in September 1993. Our professionals leverage the global network of firms, providing detailed knowledge of local laws, regulations, markets and competition. KPMG has offices across India in Ahmedabad, Bengaluru, Chandigarh, Chennai, Gurugram, Hyderabad, Jaipur, Kochi, Kolkata, Mumbai, Noida, Pune, Vadodara and Vijayawada. 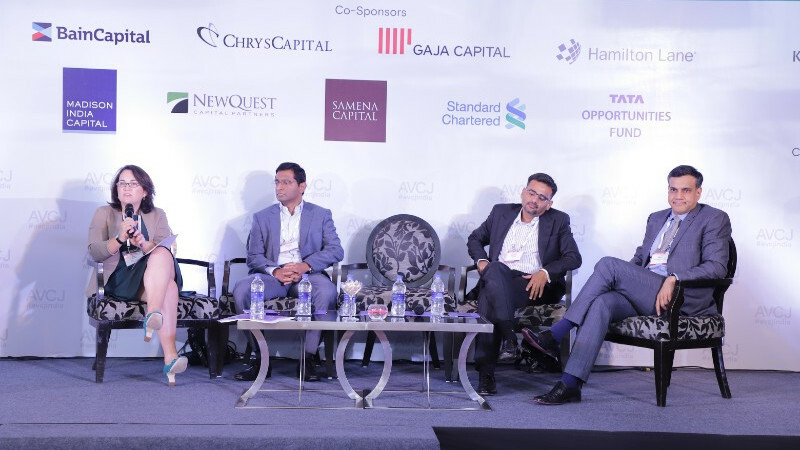 ChrysCapital is one of the largest and most established India-focused private equity firms ($3+bn AUM across 7 funds) with a very strong track record of investing in India (82 investments and 67 full exits). 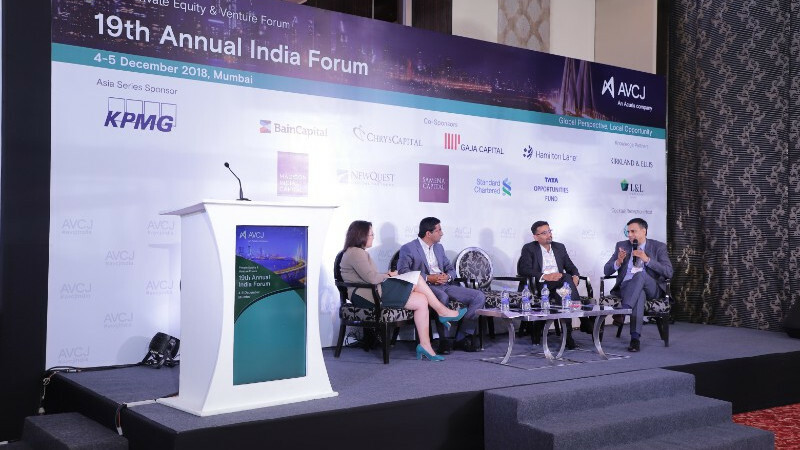 The firm has fully realized five successive funds with strong USD net returns – the only net exposure LPs currently have is to Fund VII (Fund VI DPI >1x), which is most likely unprecedented not just in India, but also in emerging markets in general. 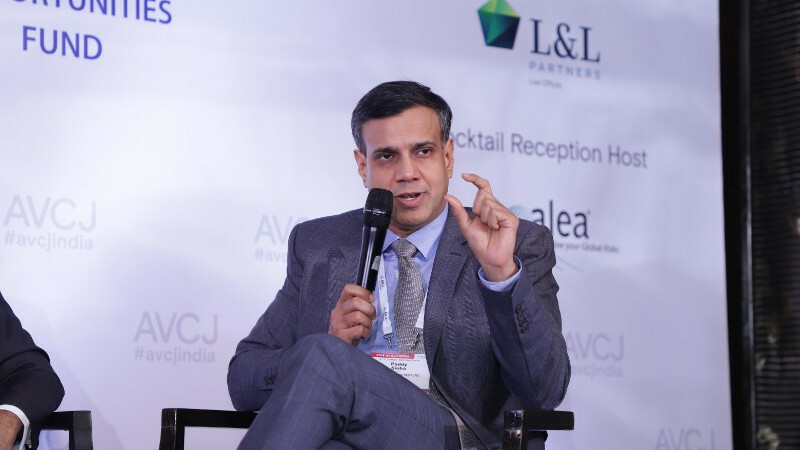 Overall, ChrysCapital has realized $5.3 billion from its 67 exits, which equates to a disproportionately high proportion of total realizations out of India – the firm’s track record is by far one of the strongest in the context of Indian private equity. The firm has achieved all this while maintaining one of the lowest loss ratios and fee drags in the industry (~15% fee-to-invested capital vs 20-25% for the industry). 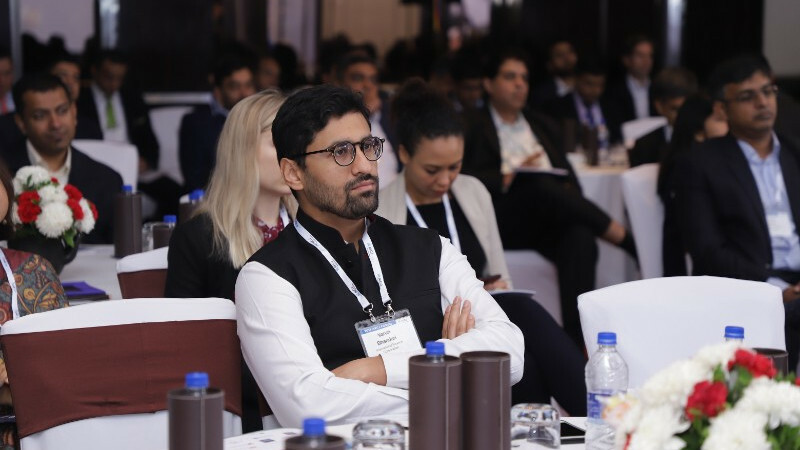 Samena Capital is a principal investment group focusing on the Subcontinent, Asia, Middle East and North Africa (collectively, the SAMENA region). 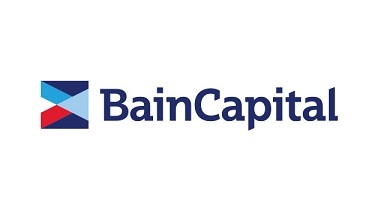 The firm has raised more than US$1.5 billion of capital since 2008 and has returned US$615 million to investors from over 45 full and partial exits. 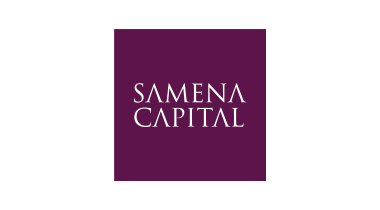 Samena Capital currently manages total capital of approximately US$1.0 billion across three primary investment strategies: private equity, direct investments, and credit. Samena Capital was established in 2008 by some of most prominent valuepreneurs from the SAMENA region and is today uniquely capitalised with equity of approximately US$80 million. Samena Capital currently manages capital across a range of closed-ended fund structures and is a Cayman Islands exempted company. It has three regulated investment advisors based in London (FCA), Dubai (DFSA) and Hong Kong (SFC). 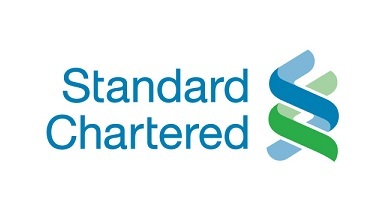 Established in 2002, Standard Chartered Private Equity (“SCPE”) has invested over USD 5.7 billion in 90 companies across its target markets. Today, SCPE manages an AUM of over USD 2.4 billion. SCPE invests primarily in founder-led, entrepreneurial businesses. 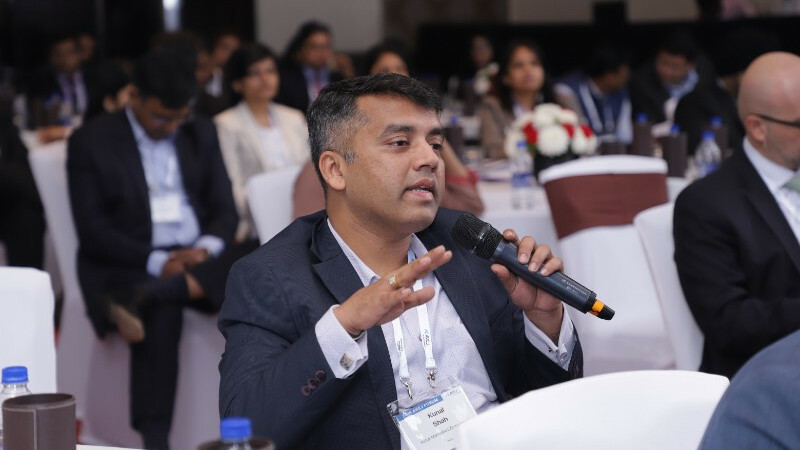 As a partner to its investee companies, SCPE leverages on its industry, consulting and financial backgrounds to create value by driving organic and acquisitive growth, executing prudent financial strategy and implementing best practices in governance, transparency and processes. By leveraging on the global expertise and local experience of over 50 investment professionals across 6 major cities, SCPE is an active owner that build market-leading companies across Asia, Africa and Middle East. Tata is India’s largest and most diversified industrial grouping. Founded in 1868, the group has a long history of creating and nurturing businesses. The Tata group is made up of over 100 independent operating companies of which 29 are publicly listed and which together have an aggregate market capitalization of ~USD 145 billion (as at 31 March 2018). During the financial year 2016-17, the total revenue of Tata companies, was ~USD 100 billion. Tata is one of India's most trusted and highly respected business houses and is India's best recognized brand. 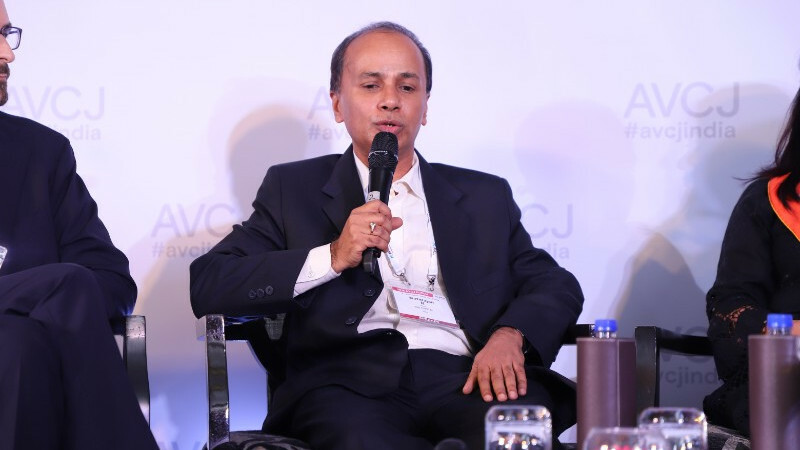 Tata Capital’s private equity franchise benefits from this privilege and builds on the group's "leadership with trust" credo in supporting its investee companies. 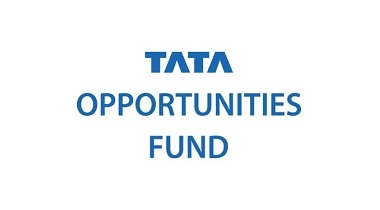 The Tata Opportunities Fund (TOF) is a ~USD 600 million private equity fund raised predominantly from leading global institutions and is primarily focused on investing in India. 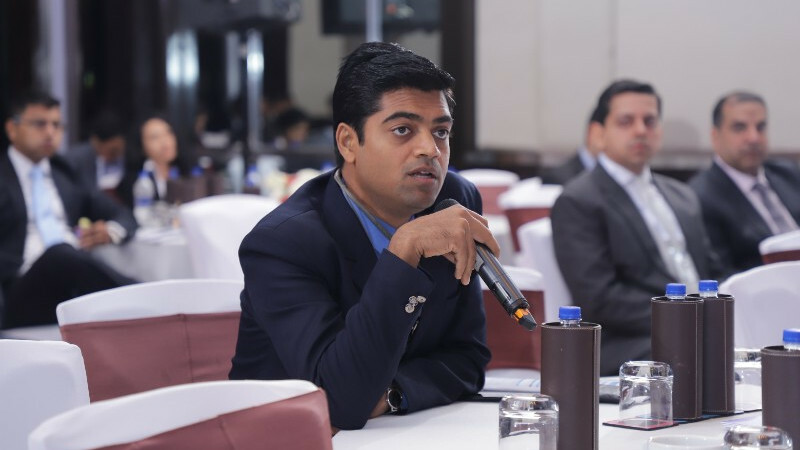 TOF has a differentiated strategy of investing into proprietary deal situations leveraging Tata’s wide network and resources. TOF’s current investments span high growth markets within consumer, industrial, infrastructure, services and technology. 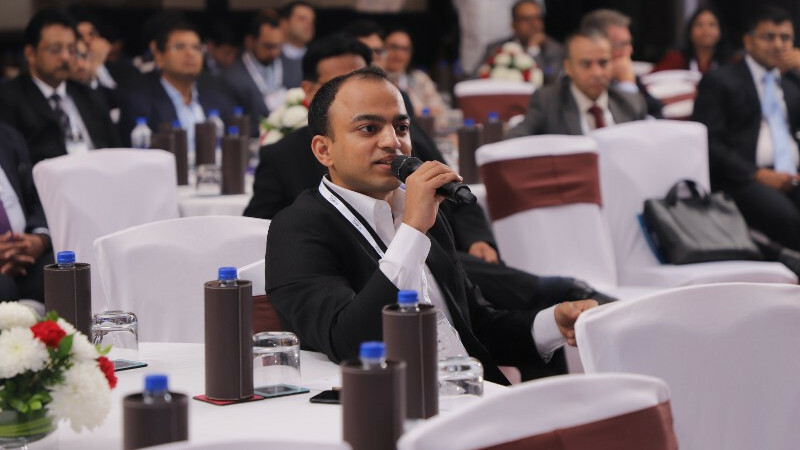 Each of TOF’s portfolio companies has strong governance and management; a focused business strategy; highly respected Indian/global partners; and is a market leader of scale. Through an experienced team of private equity professionals and operating partners, TOF leverages Tata’s strong track record of generating shareholder returns. A follow-on fund of similar scale and strategy has been launched. For more than 100 years, Kirkland & Ellis has been called upon to handle complex litigation, corporate, intellectual property, restructuring and counseling matters for global clients. Our principal goals have always been to provide the highest quality legal services available anywhere; to be an instrumental part of each client’s success; and to recruit, retain and advance the brightest legal talent. As the world’s largest law firm (ranked by total revenue), we have a strategic network of offices located in major business centers. Approximately 2,500 lawyers in varying practice areas work together as multilingual and multidisciplinary teams to provide the full-service capabilities our clients need for the legal matters they retain Kirkland to handle. Kirkland has presented in Asia for more than 20 years and has been one of the most trusted law firms in the region. With the opening of the Kirkland Hong Kong office in 2006, Shanghai in 2009 and Beijing in 2013, our approximately 115 lawyers in Asia — most of whom are fluent in Mandarin — offer clients a full service Asia practice, ranging from complex and multi-jurisdictional corporate, restructuring, investment funds, capital markets and finance matters, to complicated litigation, government enforcement and investigations. Kirkland’s Asia practice has earned high regards by reputable legal publications in recent years, having won awards including “Private Equity Firm of the Year 2018” by IFLR Asia Awards and “Consumer M&A Legal Adviser of the Year 2017” by Mergermarket’s China M&A Awards. We are also awarded “Deal of the Year” and “Best Leveraged Finance Deal” by FinanceAsia Achievement Awards 2017, “M&A Deal of the Year: Southeast Asia” by The Asia Legal Awards 2018 and “Best Cross-border M&A Deal” by FinanceAsia China Awards 2018 for the privatization of Global Logistic Properties; “Capital Markets Deal of the Year” for the Qudian and Meitu’s IPO by Asia Business Law Journal 2017; and “Securities Deal of the Year (Equity)” for Sea Ltd.’s U.S. IPO by The Asia Legal Awards 2018. L&L Partners is a leading full service law firm, with a team of over 300 counsels including 75 partners, with offices at New Delhi, Mumbai, Bengaluru and Hyderabad. In keeping with the Firm’s legacy of offering exceptional legal solutions & client advice; teams at the Firm ensure that clients receive practical, innovative & cost-effective advice in a responsive manner, while upholding the highest ethical standards. Enormous amounts of knowledge, experience & commitment, successfully help close/ resolve complex & high value transactions & disputes, with practical & creative legal solutions. 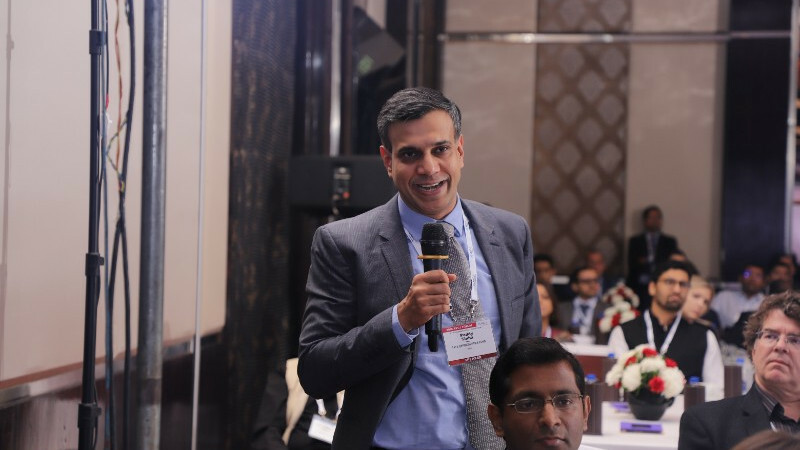 Consistently ranked and globally recognized as leaders in the field, we adopt a forward-looking approach towards the practice of law, combining both conventional practice areas & emerging sectors, setting benchmarks and the highest technical standards within the legal fraternity. Whilst handling clients across major industry practice areas & sectors, we provide legal guidance & assistance to a wide range of domestic & international clients as well as foreign firms, adding to a multitude of global clients. 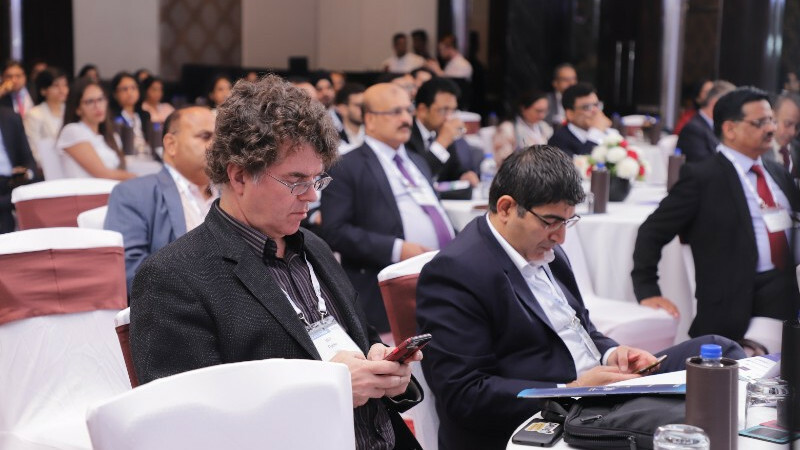 Since its inception in 1991 which coincides with India’s economic liberalization, L&L has assisted numerous multinational corporations to set up their presence in India, and navigate the complex Indian legal system. Offering kosher solutions to the complex legal issues, the Firm advises on transactions and matters involving Banking & Finance; Capital Markets; Competition & Anti-trust; Corporate Commercial and Mergers & Acquisitions; Dispute Resolution (Litigation & Arbitration); Anti-Corruption & Compliance; International Trade (WTO) Laws and Policy & Advisory; Project, Infrastructure & Energy; Tax (Direct & Indirect); Real Estate & Construction; Aerospace & Defence (Procurement & Production); Insurance & Re-Insurance; Intellectual Property - Patent & Trademark; Oil & Gas; Health & Pharmaceuticals; Private Equity & Venture Capital Investments. 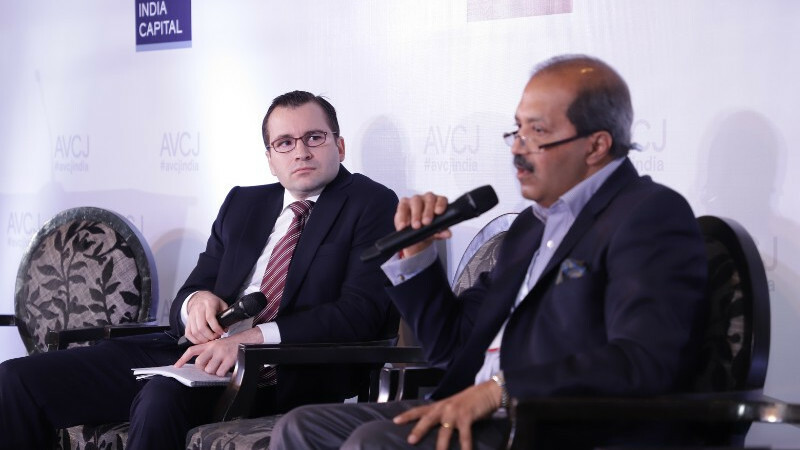 Shardul Amarchand Mangaldas, founded on a century of legal achievement, is one of India’s leading full service law firms. Our mission is to enable business by providing solutions as trusted advisors through excellence, responsiveness, innovation, and collaboration. We are one of India’s most well recognised firms, and are known globally for our integrated approach. We are one of India’s most well recognised firms, and are known globally for our integrated approach. Our 520 lawyers including 103 partners provide exceptional services across practice areas which include General Corporate, Merger & Acquisition, Private Equity, Banking & Finance, Insolvency & Bankruptcy, Competition Law, Dispute Resolution, Projects & Project Finance, Capital Markets, Tax, Intellectual Property and Venture Capital. 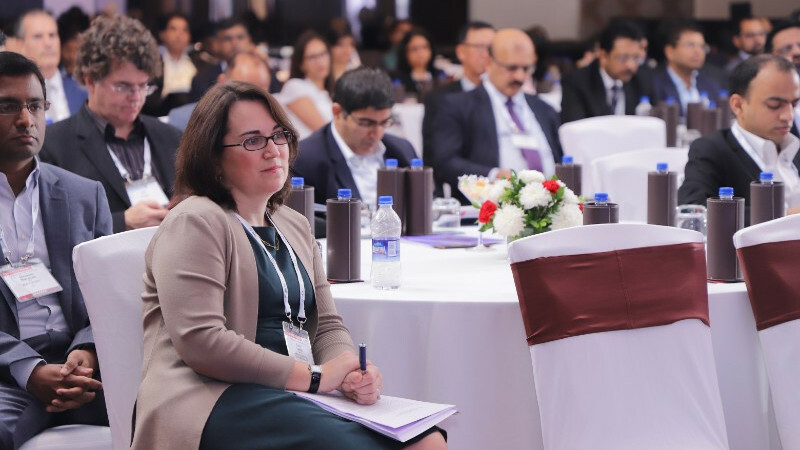 We are at the forefront of global and Indian M&A and private equity transactions, cutting edge high risk litigation and advice on strategically important matters across a spectrum of practices and industries for our multi-jurisdictional clients. We have a pan India presence, with offices in seven cities across India - New Delhi, Mumbai, Gurugram, Bengaluru, Chennai, Ahmedabad and Kolkata. Alea is a risk mitigation advisory firm. It focuses on assisting clients reduce reputation and operational concerns. Alea’s professionals evaluate potential targets of investment opportunities. The firm has directed forensic reviews and due diligence assignments for private equity and hedge funds, corporations, listed companies, banks and sovereign funds. Alea is ISO 9001:2015 QMS certified. It has a discrete network of confidential senior advisors associates developed over 30 years. Service sectors include insurance, financial services, telecom, manufacturing, pharmaceutical, defence, real estate, retail, EPC, renewable energy, hospitality, education, logistics, diagnostics and healthcare. Alea has offices in New Delhi, Gurgaon and Mumbai.